The best way to ruin a protest is to join it... badly. 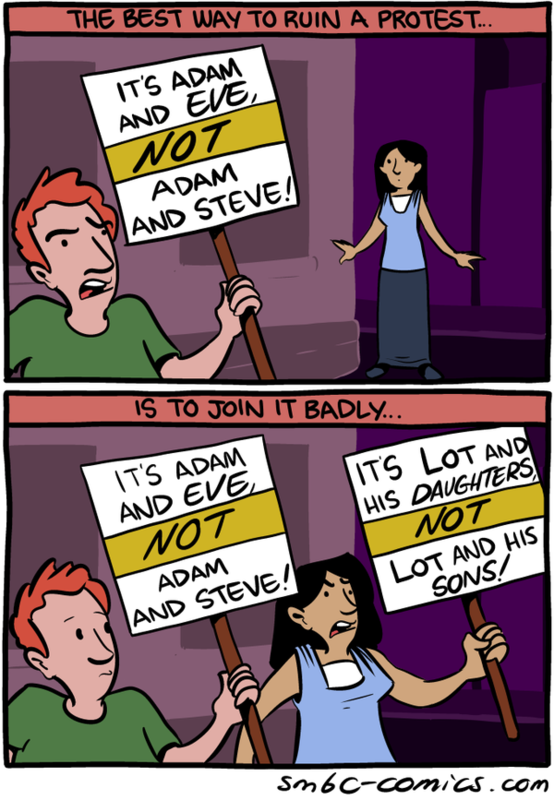 "It's Adam and Eve not Adam and Steve!" "It's Lot and his Daughters not Lot and his Sons!"